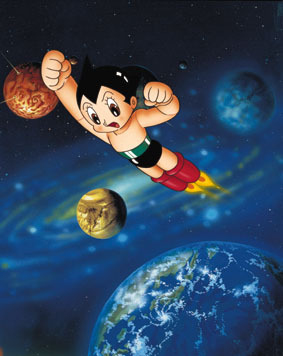 The first anime series shown in America was Osamu Tezuka's Astro Boy (Tetsuwan Atom). Astro Boy premiered on NBC stations in 1963. The premise of the show was very simple, Dr. Tenma builds a robot boy in the image of his dead son. Latter realizing that his robot boy son will never grow to become man, Dr. Tenma sells Astroy Boy to circus. Eventually Astro Boy is rescued by Dr. Orchanomizu's, who adopts him and begins to create a robot family. NBC Enterprises changed character names to make it more American. Dr. Tenma was renamed Dr. Boyton and Dr. Orchanomizu's name became Dr. Elefun. Can we blame NBC Enterprises for name changes to other anime series that made it American television? Everyone remembers Speed Racer (Mach Go Go Go). It is a world wide known anime series and in some countries can still be seen on television today. As so many Americans became involved in flower power and peace signs, anime hit the pink, green, and yellow airwaves. 8th Man, which had a total makeover in the 1990s as 8 Man After, aired in 1965. A brave little White Lion named Kimba from the jungles of Africa enter the homes of young children. Kimba's character would later be stole by Disney and renamed and revamped as Simba in The Lion King. The sixties were over and the seventies began. Unfortunately only two new anime series were shown in this decade. Battle of the Planets (Kagaku Ninja-Tai Gatchaman or Science Ninja Team Gatchaman) premiered in 1978. This series would later reappear for new generations as G-Force in 1986 and Eagle Riders in 1996. The second anime series to be broadcast in America during the 1970s was Leiji Matsumoto's Star Blazers (Space Battleship Yamato). 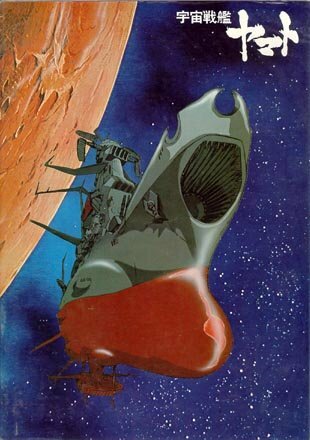 Star Blazers could be summed up as naval vessels used in space as spaceships. The plot is as follows: the Earth is being radiation bombed by the planet Gamilas, led by the despotic Dessler. The faraway planet Iscandar, headed by good Queen Stasha, offers help to our beleaguered globe in the form of a "cosmic cleanser" which can protect Earth from radiation, but she has no way to deliver it. Earth has to send an expedition to Iscandar to get it, but Iscandar is on the far side of the galaxy, with the entire Gamilas Empire in the way. Gamilas space cruisers have Earth under surveillance, so any attempt to build a starship will be detected. However, Gamilas attacks have also dried up Earth's oceans exposing the wreck of the giant WWII battleship Yamato. So the Earth government secretly tunnels up from below and builds a state-of-the-art spaceship within the Yamato's hull. In the American version, the Yamato is rechristened the Argo. Earth's Star Force, led by Admiral Juzo Okita and his aide Susumu chief of operations; ship's doctor Sado; Koadi's lady friend, radar operator Yuki Mori. The 1980s is known best as the Golden Age of Anime. This decade featured the most new anime on American television. 21 new shows aired in this decade. Two of which used a process called splicing. Splicing is taking footage from different series and pasting them together to create one new series. Force Five (1980) was created from five different anime series: Grandizer (UFO Robot Grandizer), Gaiking (Ozora Maryu or "Demon Dragon of the Heavens"), Starvengers (Getta Robo G), Dangard Ace (Wakusei Robo or "Planetary Robot" Dangard A), and Spaceketeers (SF Saiyuki or "Sci-Fi Saikuki"). The second anime series that was spliced together was Carl Macek's Robotech. 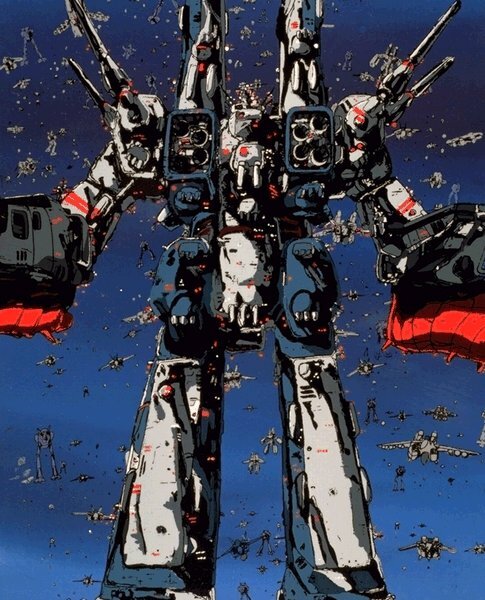 The Macross Saga of Robotech came from Superdimensional Fortress Macross, the Southern Cross Saga came from Superdimensional Cavalry Southern Cross, and the New Generation Saga was footage from Genesis Climber Mospeada. If the 1980s can be called the Golden Age of Anime than the 1990s can be declared the New Age of Anime. Syndication in the 1990s made it possible for old anime series from the 60s thru the 80s to return to television. In 1990, MTV brought back Speed Racer giving it a 6:00 AM timeslot. The Cartoon Network aired G-Force (Battle of the Planets) on their channel in 1995. Also in the 1995, a new series named Ronin Warriors became a test dummy to see if anime still had a chance on American television. 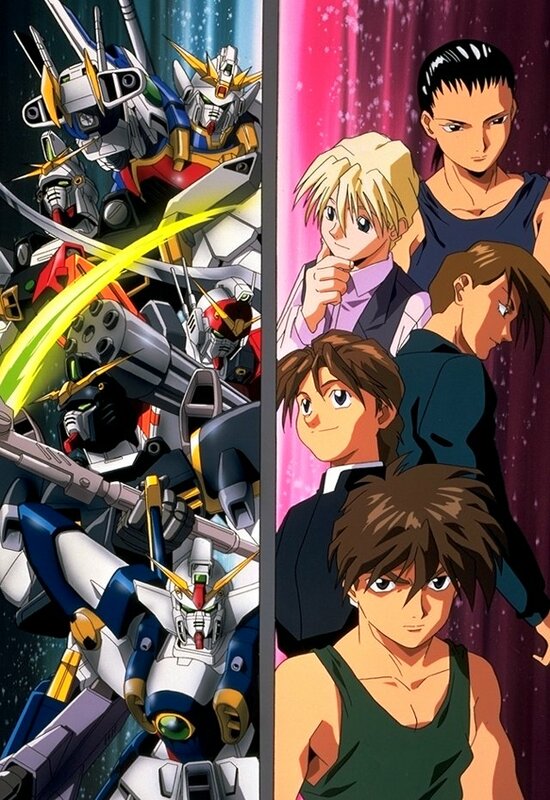 By the Fall television season, three more anime series (Dragon Ball, Sailor Moon, and Teknoman) were scheduled. Anime fans were happy to the shows however, many companies behind the North American distribution thought otherwise. All of the shows where by the end of the Spring. Funimation, the company in charge of Dragon Ball wouldn't give up. The made a second attempt and chose Dragon Ball Z as their trump card. It worked. 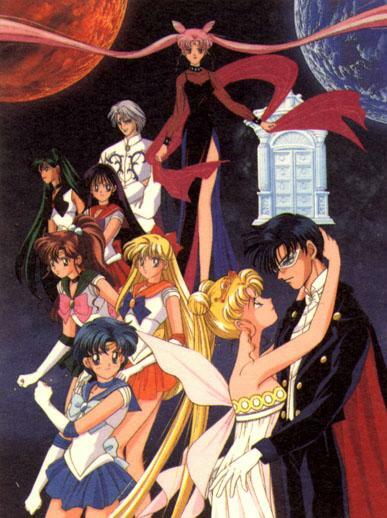 In the meantime many Sailor Moon fans banded together in the Save Our Sailors campaign to get Sailor Moon back on the air. After one year the moon princess graced across American television screens once again. In March of 1997, Ted Turner's Cartoon Network launched Toonami, a two hour block featuring non Hana-Barbara and Looney Toons cartoons. Toonami brought back classics like Thundercats and Voltron: Defender of the Universe and a remake of Hana-Barbara's Jonny Quest. Gaming company Nintendo negotiated to get their Pokemon anime onto the WB Network. It only took a few weeks before Pokemon fever hit North America. In fact, Pokemon was more of a success here than in Japan! Everywhere there were Pokemon t-shirts, hats, videos, video games, underwear, clocks, shoes, etc. Other network wanted to get their share of the Pokemon market. In August 1999, FoxKids aired Digimon: Digital Monsters. This anime was based upon the electronic virtual pets of the mid 1990s. Monster Ranchers (Monster Farm), a game for the Sony Playstation, became the next monster theme anime. Eventually the monster crazed will die down so other anime series can have their chance in the limelight. The year 2000 will feature the most new anime to be broadcast on American television. 6 new series and more episodes from 2 others will be shown sometime the year. A few have already gotten an early start. So what is in store for anime in the future? By now every major network airs some type of anime. An all anime channel could happen. Anything is possible.